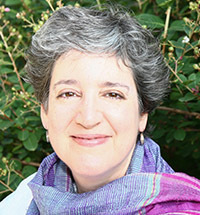 Julie Burstein is a Peabody Award-winning public radio producer who has spent her working life in conversation with highly creative people - interviewing, probing, guiding, and creating radio programs about them and their work. In Spark: How Creativity Works (HarperCollins), she maps out some of the coordinates and dimensions of creativity. No one can exactly explain creativity, but Burstein offers a tour through some of its essential byways; shining a beam onto its mysterious workings in a way that is illuminating and can help us find more of that dimension within ourselves, and put it to good use. Burstein spoke at TED2012, and gives a wide range of talks at corporations, universities, and museums about creativity, innovation, and how to uncover stories that resonate. Her engaging and thought-provoking talks are multi-media, including audio clips, video, and photographs. Burstein is the creator of Studio 360 with Kurt Andersen, public radio's premiere program about creativity, entertainment, and the arts. Known for her successful leadership of creative teams, Burstein has developed radio programs and live events for Carnegie Hall, The New York Philharmonic, WNYC, and Public Radio International. As a coach and workshop leader, she is sought after by business leaders, scientists, and entrepreneurs to help them discover the stories that will have impact on their teams, their work, and the public. She is the host of pursuitofspark.com, conversations about creative approaches to the challenges, possibilities, and pleasures of everyday life and work. "If an organization is seeking a speaker on the subject of creativity, I cannot recommend Julie Burstein highly enough! Her presentation was one of the most insightful, dynamic and fun presentations I have seen. In order to demonstrate her points, she carefully wove together audio clips from great artists and authors with video, photographs, and works of art. She even customized her presentation to include works of art and artists featured in the Dallas Museum of Art's collections. Her passion, knowledge and gifts as a storyteller shine through when she is speaking." "The qualities that make Julie Burstein a phenomenal Moderator and Interviewer are her own genuine curiosity, exceptional professionalism, and innate story-telling ability. At the American Museum of Natural History's Center for Biodiversity and Conservation, we have hired Julie numerous times to moderate panel discussions exploring diverse scientific concepts. (Our public-program audiences often include a mix of science professionals, members of the general public, and students ranging from middle-school age to doctoral candidates.) Julie's careful preparation process begins as she delves into the topic herself, working closely with the event hosts to identify important themes. Her practice of conducting pre-interviews with speakers helps each prepare and feel comfortable, and draws out fascinating details and backstories that Julie revisits during the live event. On stage, she engages both speakers and audience members, helping bridge the divide on topics and perspectives that may be new to many. Julie is a pleasure to work with, and I heartily endorse her." "This is a book about joy, drive and art, work that we're all capable of if we'll only commit." "Burstein offers enlightening answers from the culture's heavy hitters, as well as the process by which they stoked these embers into a roaring fire, and how you, yes, you, might too." 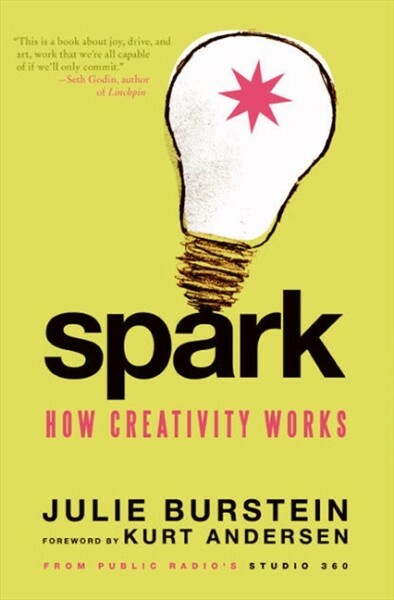 "Spark is an encyclopedia of inspiration plucked from today's most revered creators, leaving you not with a one-size-fits-all blueprint to creativity but with a petri dish of eclectic insights for you to distill, cross-pollinate and fertilize into a richer understanding of your own creative life." "Spark is a beautiful book, enjoyable and filled with life...You will find yourself contemplating the origin of the little lights, the sparks, which show themselves only when someone special looks within."